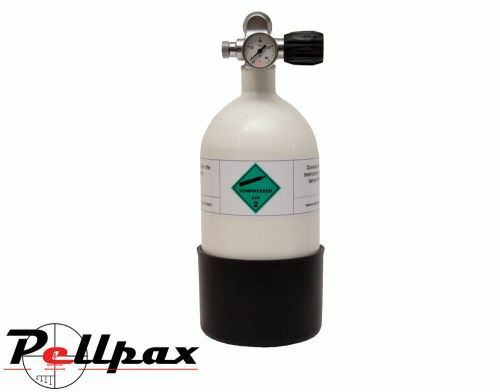 A very high quality air gun charging cylinder including a superb right angled valve system, with all the necessary fittings and hoses to connect to a PCP rifle or pistol adapter. The Cylinder is manufactured by in Europe to the highest standards, and the valve is produced by Apeks in the UK. The valve also benefits from constant improvement and development so you can be sure that it will always be reliable, and simple to use. These cylinders come prefilled with a 400mm ⅛inch hose, and a quality rubber boot to keep the cylinder on its feet. Available in 3 litre, 4 litre, 7 litre, and 12 litre variants. Add this item to your basket & spend an extra £305.01 to apply for finance.